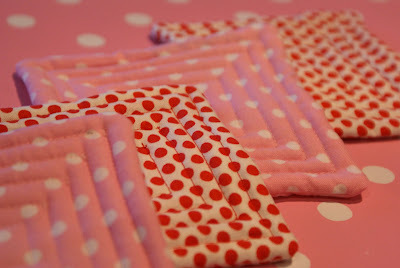 MessyJesse - a quilt blog by Jessie Fincham: Make it Monday: Quilted Coasters! 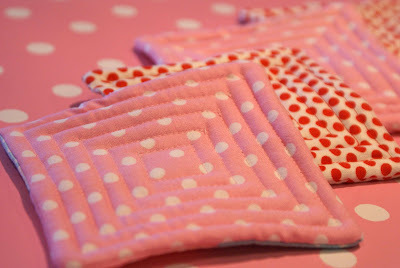 Make it Monday: Quilted Coasters! Hello friends! i have returned :) sorry for the lack of posting last week, normal posts will resume from now.. 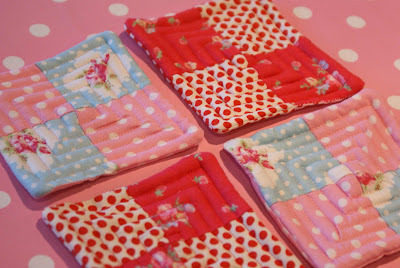 Here are some coasters i made last week, i love the colour combinations they work so well together. 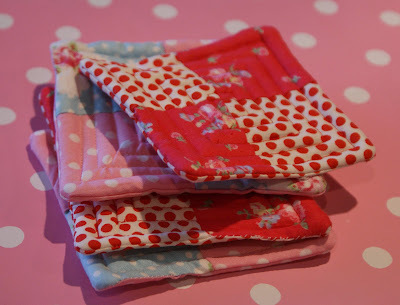 i will be making lots more with different fabric's this month so look out for them in my Etsy/Folksy shops soon. Love the coasters and the cupcake! 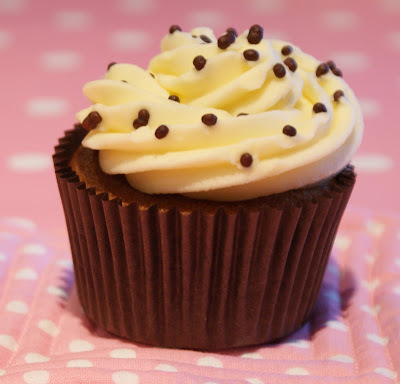 That cupcake looks really good right about now! It is beautiful! Those colors are lovely! The cupcake is too, yummy.